Burning Man will sell approximately 70,000 tickets for 2019. For those buying tickets directly from Burning Man, there will be three ticket sale opportunities. First, a pre-sale phase, where tickets can be purchased for $1,400. Next, the main sale will feature tickets for $425. Finally, a small number of tickets will be sold shortly before the event at the “OMG Sale”, at $550. In each case taxes, shipping and other fees are added as described below. So if you were to purchase two $425 tickets and a $100 car pass the total cost would be $1081.54, including standard domestic shipping. Note: Total attendance at Burning Man is expected to be close to 80,000, which includes staff, vendors, BLM, law enforcement, etc. Also, more than 70,000 tickets are sold, as event organizers add a small number of additional tickets to account for no shows, early departures and late arrivals. Note: All ticket sales are subject to taxes and fees, of around 12% plus a $15 per order domestic delivery charge. All sales require a Burner Profile. Sign up or log in here to update it. February 27: Directed group sales start. You have 48 hours to purchase allocated tickets. Directed Group Sales. The directed group sales phase was developed to ensure that established groups, such as theme camps and art car producers, have access to tickets for their participants. These are allocated early in the ticketing process to ensure members have certainty around having tickets and fully participating in the camp/group’s efforts leading up to the burn. Each approved group is allocated a number of tickets by the organization. The group then distributes the right to buy tickets among its members, and provides a list of approved members Burner Profiles to the organization. Shortly before the DGS sale, each registered member receives an email confirming their participation in the DGS. On the day of the sale (or during the 48 hour window of the DGS sale), members either click on the unique link provided in the email, or go to their Burner Profile page, where a link will appear when the sale goes live (before going live there will be a box that alerts the user they are registered for the sale. After the 48 hour window expires, the tickets are released and the link will no longer be valid. Prior to the sale, each potential buyer must register a profile on Burner Profiles. During the sale registration period they must specify that they are interested in purchasing tickets. They will then receive an email confirming their registration and a link to participate in the sale. A box will also appear on the Burner Profile page indicating they are registered for the general sale. On the day of the general sale, an active link will appear on each registered users’ Burner Profile page, and email link previously sent will become active. When the same begins (April 10, 2019 at Noon pacific time), the user clicks on the link and will receive a page telling them they are in the cue to receive tickets (or a 404 error if servers are overloaded). After a wait of a few seconds to 30 minutes they will be either given the opportunity to purchase tickets or be told tickets are sold out. Each tickets window follows the same process as the Main Sale. You must register in advance and then on the day of the sale attempt to purchase tickets. Around 4,500 “low income” tickets are also sold at approximately $210 - note, in 2016 these tickets didn’t sell out until shortly before the event. Last year there was higher demand, but in 2019 the allocation increased almost 20%. Those eligible should make an application immediately upon the window opening, as once the organization believes they have received sufficient applications to allocate all tickets, the window closes. You can still register for the main sale if you have applied for low income tickets, but if you buy a ticket in any ticket phase your low income ticket will be cancelled. Note, even registering for other ticket phases could impact your low income ticket application. 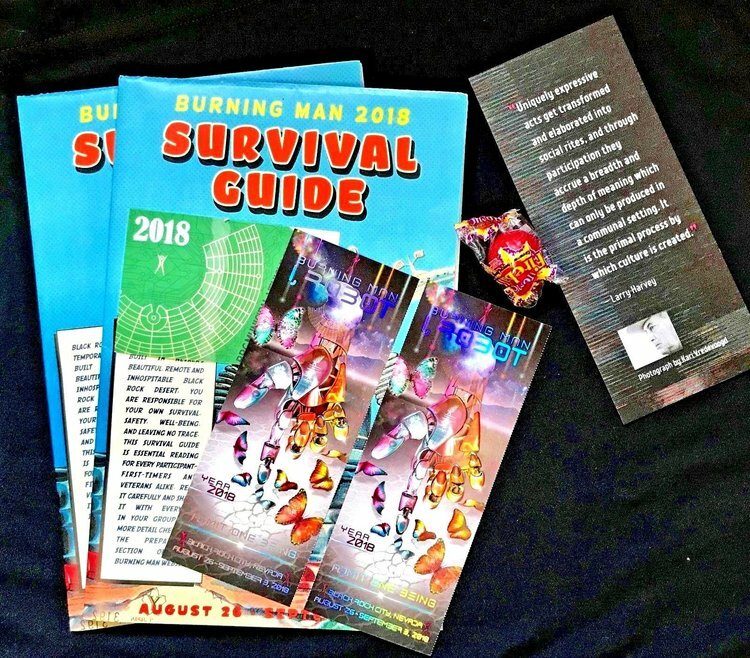 The official word from Burning Man’s Low Income ticket review group: "purchasing another ticket disqualifies you from being awarded a Low Income ticket. Registering for a regular sale would only be taken into account if the application is really marginal and we’re having a tough time making the call." Burning Man does not publish eligibility criteria and there are no strict cut-offs for financial eligibility, although some have reported having relatively solid income but unusual expenses or other financial hardships and receiving tickets. Your contribution to the event is also taken into account. So if you feel you can’t attend due to ticket cost and therefore don’t intend to apply for tickets, and feel your contribution to the event would be significant, you may be a good candidate for the low income ticket program. In past years, people have generally received word on their low income ticket application roughly four weeks after applying. Note some strategy here - if you apply immediately, the first day you can, for a low income ticket, you will likely get a response before registration for the main sale opens. Read more about the Low Income Ticket Program, including tips on creating the best application possible. 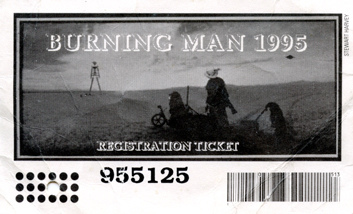 In 2019, Burning Man took the ticket booking technology in-house, having a third-party develop a ticketing system for them. The Main Sale went poorly, with multiple technical issues (see screen shots below). While many people were able to buy tickets without an issue, many experienced a series of issues, including missing “purchase buttons”, requests for nonexistent access codes, and other error messages (see below). Many of these issues could only be fixed by opening the ticket link in a new incognito window, opening the link on a cell phone not connected to wifi, using a VPN connection or other similar strategies. Some found a screen to purchase tickets, but no final “purchase button” (but if they clicked where they thought the button should be…. it worked). Most of the error messages are captured in the images below. Your first method to get a ticket to Burning Man is to buy one directly through the org in one of the ticket sales described above. Everyone is going to tell you, “Don't Panic”, tickets will free up, you'll get one. Don't pay above face value! Getting tickets via the Burning Man community is still how most of the people we know who struck out in the main sale get their tickets. Spending time in the community, attending regional burns, camp fund-raisers, and engaging in other activities that contribute to the Burning Man community will significantly increase your chance of finding tickets. If you don’t have a strong social network in the Burning Man community, below are strategies to consider. Buy the $1,400 tickets. If you are willing to fork over a premium price, you are likely to get tickets directly through the organization. These are expected to sell out quickly in 2019, as the number of tickets available at this price were dramatically cut (as many went to scalpers, it is believed). Submit a Low Income Ticket Application. If you are a low income individual, this is a good avenue to get tickets, and surprisingly often ignored. Join a camp with a ticket allocation. There are camps that are looking for members and have ticket allocations. Start reaching out to any camp that resonates with you and be upfront about your need for a ticket. The Burning Man board has set a new course toward emphasizing formal camps as a way to have more influence over Burning Man culture, so watch for more and more tickets being allocated toward camps in the coming years. Note: International camps often are both in need of feet on the street in the US and have more tickets than for which they have demand. Reach out to as many as you can, either with interest of joining (ideally! ), or at a minimum with an offer to help out with logistics in the US. Camping with a camp of non-US people would likely be an interesting experience, and helping them move gear, do groundwork before they arrive, etc., is a service that is needed. Reach out to enough of these camps, and you will get face value tickets, and help support a camp that has logistical issues and is contributing to the diverse experience that is Burning Man. Watch eBay like a hawk for face value tickets. They are sold almost every day close to the burn. They will pop up as a “Buy It Now”, and will be purchased almost immediately. So you will need a bot or a motivated refresh finger to get one of these golden tickets. See #6 below to help avoid fraud. Watch Craigslist for face value tickets. If you are in the SF Bay Area, they pop up now and then. Outside of San Francisco it’s far less likely, but in Portland and Seattle a few pop up every year. Insist on getting full ID and contact information from the seller to help ensure that the tickets are genuine, haven’t been declared lost or otherwise been canceled. Any honest seller will happily provide this (they may not be willing to provide it until you are ready to hand over cash, to avoid you reporting their tickets to BM for cancellation). Pay via Paypal specifying you are buying goods or services, so you have extra protection if you need to go after a fraudulent seller. Carefully examine the ticket to ensure the holographic images are valid. Install a QR reader on your phone, and scan the QR code and make sure the number matches the ticket number. And compare the ticket against the list of voided tickets. Note that even if you do all these, one scam is to sell a valid ticket, then reported it stolen to the org, have it cancelled and reissued. One way to mitigate this is to have the tickets transferred via a Will Call ticket transfer. A note on eBay/Craigslist/StubHub. I believe that there is far less chance of fraud on eBay or StubHub than on Craigslist, and better recourse in both circumstances for fraud. StubHub offers an outright guarantee against fraud. eBay offers certain guarantees as well, but it’s a bit less robust in its protection. StubHub. StubHub tickets are generally more expensive than eBay once you figure in the service charge. StubHub offers a full guaranty against fraudulent tickets: you will either (a) get replacement tickets or (b) get your money back. StubHub purchases tickets each year to Burning Man and has in the past replaced fraudulent tickets at the gate, for at least one buyer I talked with at the event. However, StubHub is not free from risk. A common issue is that a seller sells tickets to you, you wait for delivery, and they fail to deliver. StubHub will give you a refund, and charge the seller a fee. The problem is that if you purchased your tickets in July, and then needed to replace them in mid-August, you may find that the tickets increased significantly in price. StubHub will not give any credit or refund in this situation. EBay. EBay offers a guarantee against fraud. However, there are reports of ticket scammers sending an empty envelope to buyers, and eBay refusing to take any action against the seller. So if you do buy on eBay, make a video of you opening the envelope when it arrives, and carefully filming the tickets inside, including the numbers. If the tickets have been voided or are fraudulent, eBay will likely provide a recourse. Pay with tickets using PayPal, which since 2015 has provided some coverage against fraud for intangible goods. You must specify when making the purchase that it’s a commercial transaction. Never agree to specify the PayPal transaction is a “gift”, which eliminates buyer protection. If someone asks you to do this, avoid the transaction entirely. When the envelope arrives, take a video of you opening it and displaying the contents. On the off chance you have been sent an empty envelope or the tickets appear to be fraudulent, you have clear evidence of what has happened. Read the Burning Man FAQ on buying tickets. Buy your tickets before the OMG sale…. prices jump immediately after the sale. A note on buying tickets on secondary markets. There is a strong culture against buying or selling tickets for above face value. We have never done so, and will never do it. The name on the ticket order must match the name on the Burner Profile being used to purchase it. But one can use a third-party credit card to make the purchase. Just make sure the same credit card is not being used to otherwise buy Burning Man tickets. See the official Reddit AMA answer here. Every year tickets get stuck in customs. 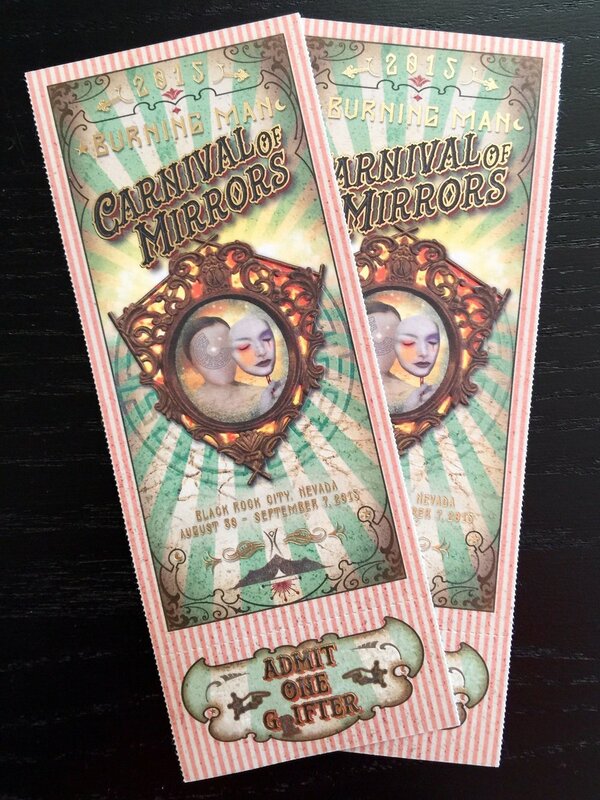 If the ticket has been shipped to you from Burning Man, they will cancel it and replace it with a new ticket. If you are receiving a ticket from a friend, have that friend take a video of them putting the tickets in the envelope and dropping them with the mail carrier, showing the transit number. Make sure the video shows the number on the ticket, the number of the fedex/ups/usps tracking number, and the depositing of them with the carrier, all in one unbroken sequences. If the ticket is stuck in customs, you have very clear evidence that you mailed the ticket and you will receive notification from customs that will prove the ticket is being held up. Then contact Burning Man. The will likely re-issue your ticket and allow you to pick it up at Will Call. Even without this procedure, the org is very likely to cancel the ticket and re-issue a new one as well. (Note, the org needs to guard against fraud, and there is a ticket scam that uses “stuck in customs” to defraud third party ticket buyers, and therefore are thoughtful about when to cancel a ticket in these circumstances). Burning Man sells more tickets than capacity will allow. Once the gate count reaches maximum capacity, people are held back from entering until someone exists. This doesn’t usually occur, but did in 2018, when more people than average used their tickets. First, try to refresh the browser if it doesn’t automatically refresh; often repeated refreshes will fix the white screen of death, or issues with elements of a page not loading. Open a “Private Window” in Safari or “Incognito Window” in Chrome (or similar window in your browser) and cut and paste your ticket link address to that. Often the private windows will overcome issues. Note, we never use a Tor Browser when buying tickets, as many sites block Tor traffic. As a second approach, attempt to open your ticket link via your cell phone (while keeping your initial web browser open). If that fails, turn of the WiFi on your phone and try again. This last approach is the most risky as you will now have a new IP address, and you may then get an error that you are trying to cut in line, or that the link has already been used. That said, if you are getting a white screen, or error message that is telling you your link isn’t valid or similar message, it’s possible this last trick will work. Note, we have no special insight to how the back end of the Burning Man.org ticketing system works. The Main Sale will be the first time it is used, and the suggestions above are based on generic solutions to common issues. We try to follow whatever the instructions are on the ticketing website, and would only try the suggestions above when encountering an obvious technical problem. 85% of the people buying tickets in the main sale, buy two tickets. 15% only buy a single ticket.